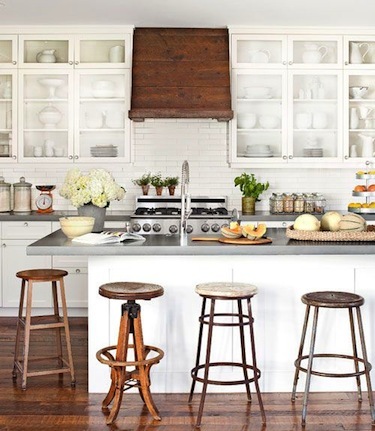 Love the rustic island paired with the white, simple cabinets. That vent hood kills me. 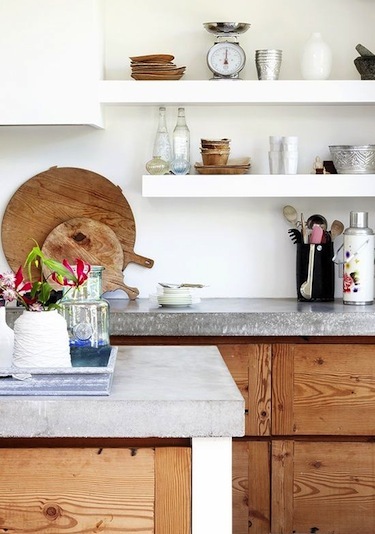 as do the concrete counter tops and mix and match of vintage bar stools. I just love this image, I can't tell you why. 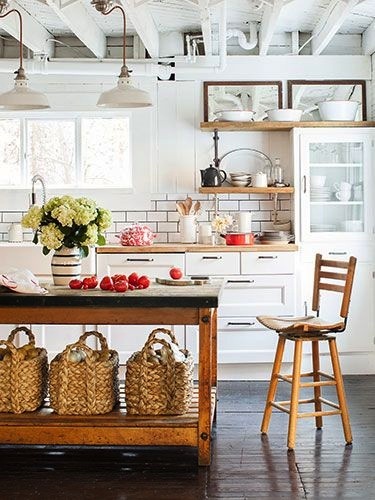 It feels like the perfect woodsy, lake cottage kitchen. 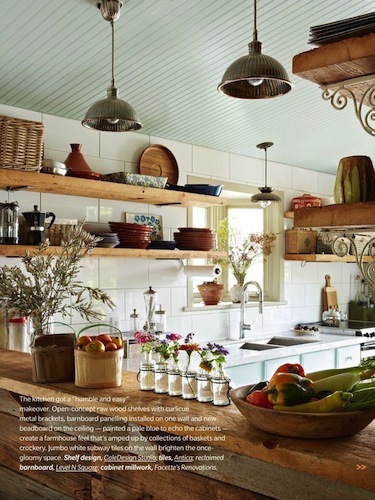 Almost seems like the owners could have hand-planned all that raw wood from trees on their own property.